My Experience With The Keto Diet: How It Works, How Much I Lost! Hey my loves! So about a month ago I decided to try the keto diet, aka the ketogenic diet. 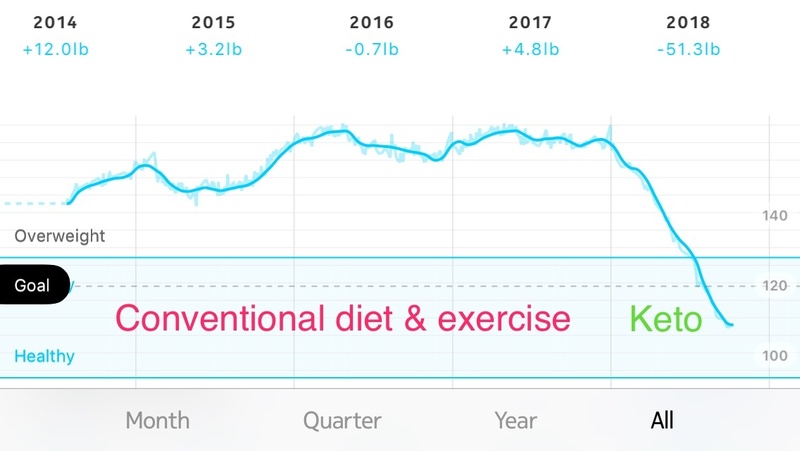 Keto is working really well for me so far and I’m super happy with my results… But, before I get into that and how it all works, I want you to know that it’s worth discussing any drastic diet changes with your doctor first, and although I have enjoyed this diet, it’s not something I recommend to everyone. I want to share with you my experience, and the advice and help I’ve had from my dietician, a food consultant, and chef, Aphisith Phongsavanh. So, first of all, you’re probably wondering what the keto diet actually is, and why everyone is talking about it right now! It’s essentially a very low-carb, high-fat diet, which can lead to fast weight loss (mostly water weight in the first two weeks). “Believe it or not, the ketogenic diet was developed nearly 100 years ago to help reduce epileptic seizures amongst children. Due to the nature of the diet with its low-carb, low to medium protein, and high-fat content, many people often compare it to the Atkins diet. The main difference is that the Atkins diet works in stages, and the keto diet follows a consistent meal plan.” The keto diet gets its name from the process the body uses to burn energy, aka ketosis, which is a metabolic state where the main source of fuel for the body is fat. “Our bodies are naturally used to burning glucose (sugar) as a primary source of energy and when you start to consume less of it, restricting your general carb and sugar intake (yes, sugars are also carbs), we force a switch in our metabolism – burning stored fat instead of glucose. This sometimes occurs on a lower scale when we sleep for longer periods of time, accidentally skip meals, and when we fast. If losing weight is something that you want to do, then the keto diet can help. Researchers have also stated that the keto diet can aid in lowering blood sugar levels, reducing inflammation of the body (if you have high amounts of insulin circulating within your system), and achieving the feeling of being ‘full’ most of the time because of the specific contents of your meals. Many participants have also claimed that they developed a stronger sense of mental focus after a week or two of being on the diet. Sure, you’ll lose quite a few pounds on your initial journey, but most of the starting weight that you’ll drop will be from water weight, so Aphisith says “remaining consistent is the key to reaping continual benefits and gradual weight loss.” In the first two weeks, I lost about 8 pounds (3.5kg), and my stomach flattened out a lot. This dramatic loss is mostly down to a drop in the water that your body usually stores – carbs need water to stay in your body. You also need to ensure you consume more water during this period so that your body doesn’t get dehydrated, which can lead to constipation. The first two weeks are when you’ll notice the most dramatic drop in weight, while the second two weeks will be slightly slower, but this is the point when your body will begin to burn fat. It can be quite challenging for the body to switch metabolic states and if you’re not used to these changes, you’ll feel sluggish and tired for the first few weeks. Aphisith warned me that “some have claimed that they’ve experienced trouble sleeping as well” although I didn’t really notice this. I did, however, feel a little sluggish in the afternoons, but then I have three cashews, and it picks me up (I know that sounds like nothing, but it does help). If you’re exercising a lot or trying to build muscle, you should speak to a dietician or doctor to see if this is the right diet for you. So is keto worth it? I was planning to do this for one month and be done with it, but I love the results so much, and I don’t find it that difficult to do, that I’m going to continue it for a little longer. I actually find it the easiest diet that I’ve done; I can have a bun-less burger (I love burgers) and although I can’t have French fries, I’m okay with that – I’m not a French fry person – but I have to say I really miss macaroni and cheese! The thing with this diet is, you can eat as much cheese as you like, which definitely makes you feel like you get to cheat! I eat a lot of Mexican food, and Greek food, but Arabic and Italian food have been challenging – you can’t eat beans and hummus, or pasta and bread. I’m really pleased with the results I’ve had so far, and as well as the initial weight loss, I’ve noticed the appearance of my cellulite has improved, and my back fat (an area I struggle with), as well as my arms, has also slimmed down. I’m naturally curvy, and I love my figure, but these are just little areas that I wanted to improve, and I’m really happy with the results. My sister, Mona, started the diet a week before me, and while she lost 8 pounds in the first two weeks, five weeks later, she’s measured a loss of 9cm off her stomach, which is insane! The other thing with the keto diet, is you can’t cheat; otherwise, it ruins the process of ketosis. I admit, I cheated a few times, and I still lost a lot of weight – at the end of the day, you’re still cutting a lot of carbs. I think after another month of this, I’ll go back to eating as usual and cutting out dairy (I’m really not a big dairy lover). Now and again, I like to try these diets out, but ultimately, I think having a balanced diet, good rest, and exercising regularly is the most important thing to do. It’s okay to be naughty now and again, but I find if I eat lots of vegetables and fruit, organic meats and avoid too many simple carbs (like sugar, baked goods, pasta), that I generally feel energized and healthy. I know a lot of people have been talking about this diet lately, so I wanted to share my experience with you guys and give you as much info on it as possible. I definitely don’t recommend this diet to everyone, and if you do choose to try it, please consult your physician or doctor before starting. Also, remember that everyone’s body is different and people lose weight at different rates, so don’t feel disheartened if the results you expected take a little longer. Enjoying a keto-friendly breakfast is as easy as slicing an avocado in half, removing the skin, and baking it in the oven with an egg cracked in the middle. Once cooked to your desired doneness, grate a tiny amount of your favorite cheese on top, and drizzle half a tablespoon of olive oil over the egg. Finish it off with a light dusting of smoked chipotle powder, sea salt, and cracked black pepper. Serve it on a bed of bright kale and sliced bell peppers. Garnish it with a few sprigs of parsley, a few pieces of walnuts, and you’re ready to kickstart your day! Season your portioned and cleaned filets of sea bass with sea salt, lightly dust them in coconut flour, and brush off the excess. Dip the filets in beaten egg to coat and toss them in unsweetened coconut flakes for a crunchy exterior. Pan fry the pieces of sea bass in coconut oil until cooked. These filets go great with a salad made of roasted broccoli, fresh bell peppers, a lot of spinach, and avocado. Garnish your salad with toasted almonds and sunflower seeds. For the dressing, combine three tablespoons of olive oil, two tablespoons of apple cider vinegar, a hit of lime juice, some sea salt to taste, and chili flakes for a little kick. In a medium-sized pot, sauté minced garlic, onion, and ginger with coconut oil until lightly browned. Add a few slices of galangal and stalks of smashed lemongrass (optional). Next, add a large tablespoon of Thai red curry paste, a tablespoon of almond butter, and cook until the oils from the paste are released and fragrant. Add two to three lime leaves and pour in one can of coconut milk and bring the mixture to a boil. Once boiling, reduce the heat to a simmer and add your portioned cauliflower florets. Cook until the cauliflower is to your desired doneness and season to taste with sea salt and ground black pepper. Serve your quick curry over a bed of your chosen vegetables that are in line with the keto guide, and top it off with some toasted cashews. These nuts go well with curries; however, don’t use too much because they’re higher in carbs than other nuts. Enjoy! Let me know in the comments if you have any personal questions you would like to ask me about the keto diet, and your experiences with keto if you’ve tried it yourself. Fantastic, I just starting the keto diet life change plan, is what I’ll call it. I practically eat all theses foods. My downfall are the carbs, so I’m going to change. thank you for sharing. Great tips! I really love the keto diet and I’ve made a lot of progress in changing my eating habits in the past year. The recipes are amazing and there’s enough recipes there to keep you from getting bored with your diet. Thankyou this blog is really helpful. I am gonna start this diet tomorrow. Let’s hopes for best. Hello. I am from India and I wanted to know how to start the keto diet. I mean is there any specific site for it or how must does it cost ..everything . I searched about it and couldnt find any appropriate answer. Please help. What about free meals? Is there any every one or two weeka maybe? I did keto for 4 months straight and lost a total of 25 kgs and then i stopped but now I want to start it again but everytime I struggle. At the end of the day I start feeling low and a lot of headache is there. I seriously want to follow this diet again! Were you taking any supplements or Multivitamins coz i have heard a lot about hair loss when doing this diet..is that true? I’m so pleased you are happy with going Keto. Welcome to the lifestyle. I started in January 2018 and it’s been an amazing journey. I’m now more relaxed about it than I used to be, and am happy enough maintaining my current weight. I lost 11kg so it’s a diet that really works, and as you said is easy to keep up with. It’s also a very healthy way of eating as long as you keep up your greens and don’t over do it on the red meat & cheese! I’ve created a Facebook group called Keto in Qatar to support people doing Keto here. We are now at 1.1k members and growing strong. On there I also recommend great advisors like Dr Eric Berg who are Keto experts and really helped me succeed. Am so happy to have you involved with this way of eating, you’ll be such a great ambassador for it. Then my dietician suggested that i can make the whole cheese sauce as it is and replace the pasta with steamed cauliflower heads. It obviously doesn’t taste as good as the real thing, but its pretty close! I’ve been on keto for over a week and can already feel my pants looser. I struggle with low thyroid so I hope this will work for me in the long run! Wat kinda daily activities u do along with the keto diet?